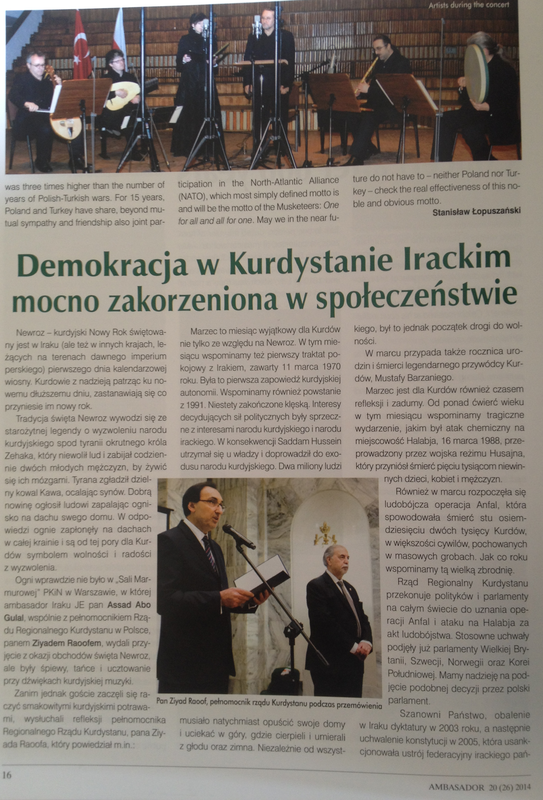 In this edition of the newspaper “Ambassador” you can find the full text of the speech of the KRG Representative Ziyad Raoof on the occasion of Newroz organized in 2014 in Warsaw and a few photos from the event. Conversation with the KRG Representative to Poland Ziyad Raoof about the circumstances of his arrival to Poland, the situation in Kurdistan and the promising economic outlook faced by the Kurdistan Region. 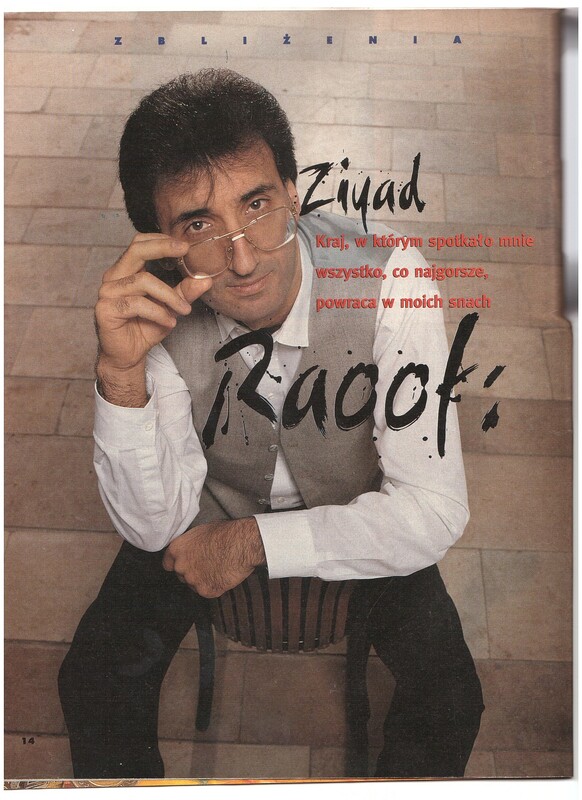 In a very personal conversation Ziyad Raoof tells about the persecution of Kurds in Iraq in the days of Saddam Hussein and in Turkey, as well as his complex fate that eventually led him to Poland. 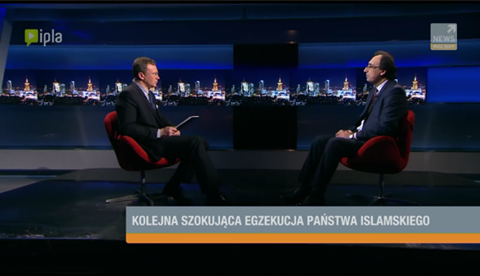 The KRG Representative to Poland Ziyad Raoof was a guest of the TV program “Events Opinions Comments” on the informational chanel Polsat News. The Representative reminded about the difficult situation of refugees in Kurdistan and informed how the Poles can get involved in the action of help. The KRG Representative to Poland Ziyad Raoof was a guest of a radio program “Światopogląd”. He talked about the situation of the Kurds fighting the islamists in the city Kobane. 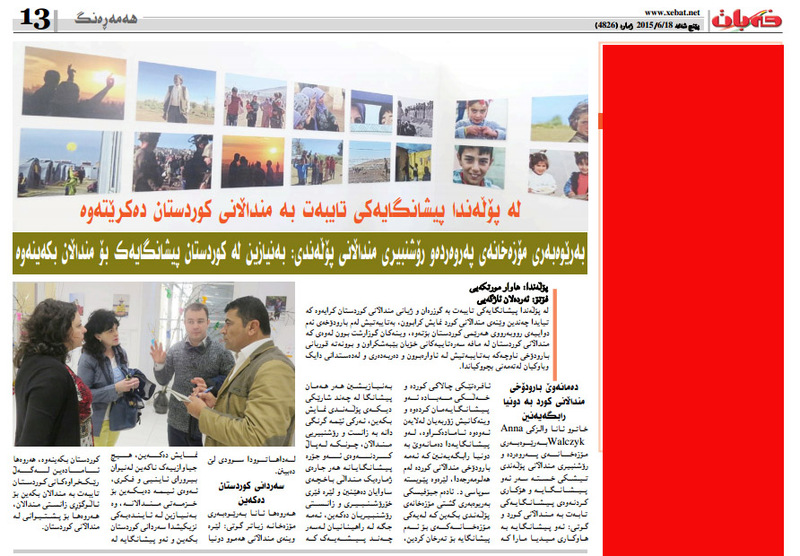 An article of Kurdish journalists from the newspaper Xebat about the photo exhibition at the Ethnographic Museum in Warsaw dedicated to refugees in camps in Kurdistan. The interview with the KRG Representative to Poland Ziyad Raoof, where he analyzes the reasons for the defeat of the Iraqi army in a fight against Islamic State and tells about the aspirations of the Kurds for independence. 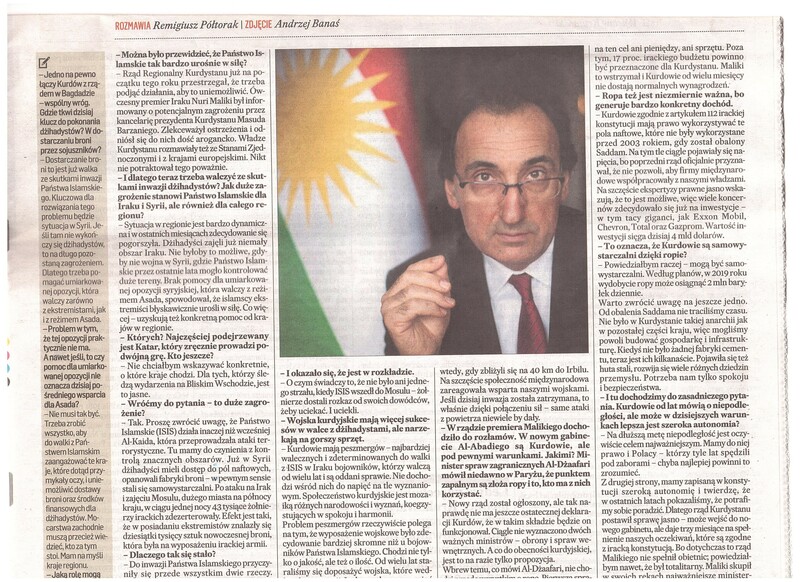 An interview with the Kurdistan Regional Government Representative to Poland Ziyad Raoof about the reasons of strengthening of Islamic State and the situation in Iraq and in the Kurdistan Region. An article about the achievements of kurdish students in polish universities. 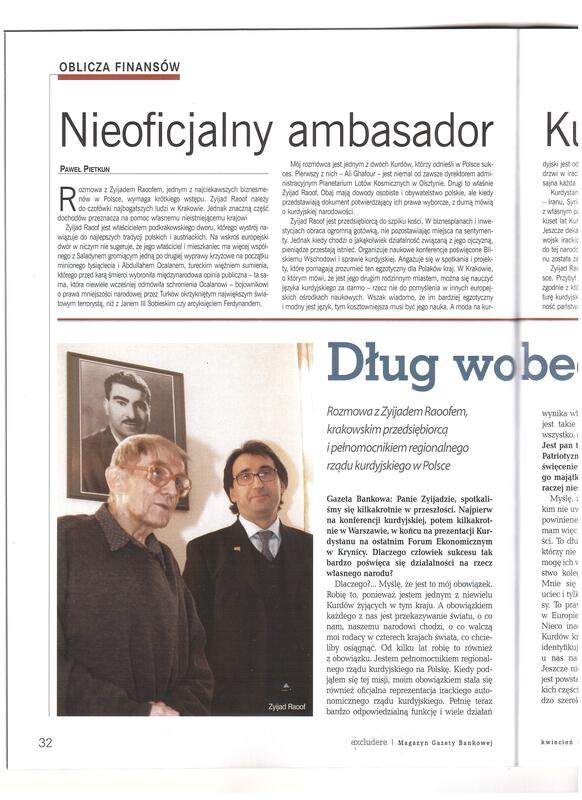 We invite you to read an article from the Kurdish newspaper Xebat about the opening of a photo exhibition about Peshmergas organized by the KRG office in Poland.